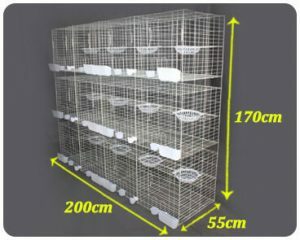 Our pigeon cage and dove cage is made of quality mild steel wire, welded by automatic welding machine, with uniform weld depth and smooth mesh to prevent pigeons from hurting foot infections and fatigue syndrome. The pigeon cage is rugged and easy to assemble. 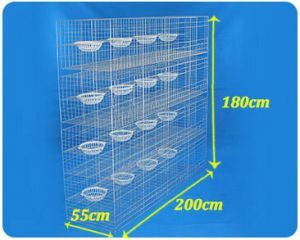 Vertical feeding is convenient for management, saves space, effectively prevents infectious diseases, and improves survival rate. 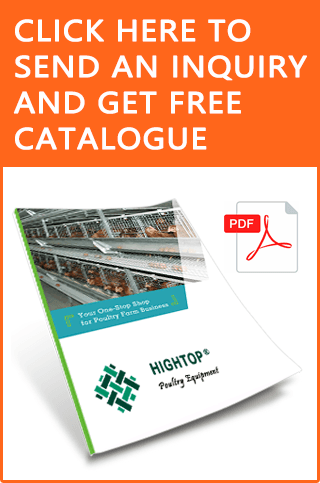 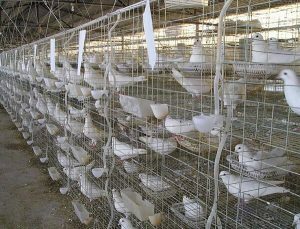 In addition, our dove cage has large space, low height, pull-out manure frame board, horizontal sliding door reinforcement design, and improve the integrated management of pigeons. 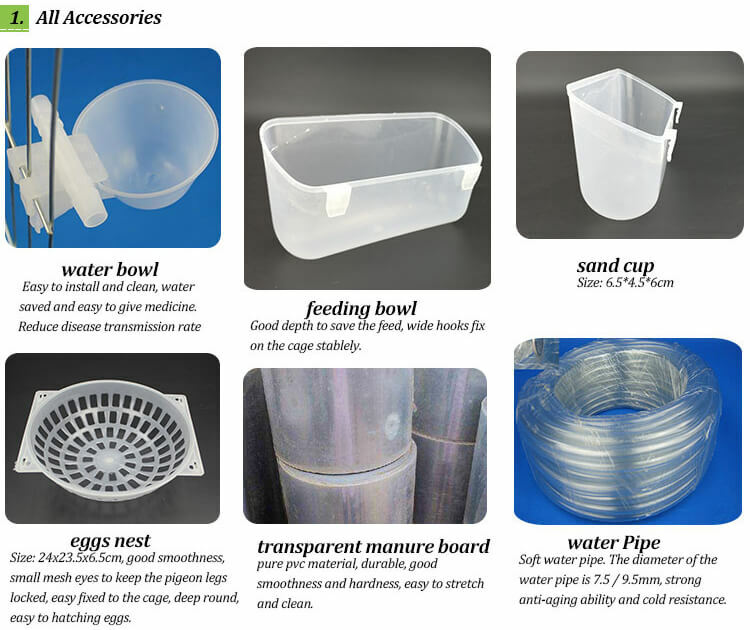 Accessory: feeding bowl, water bowl, sand cup, egg nest, manure board, water pipe, installation tools. 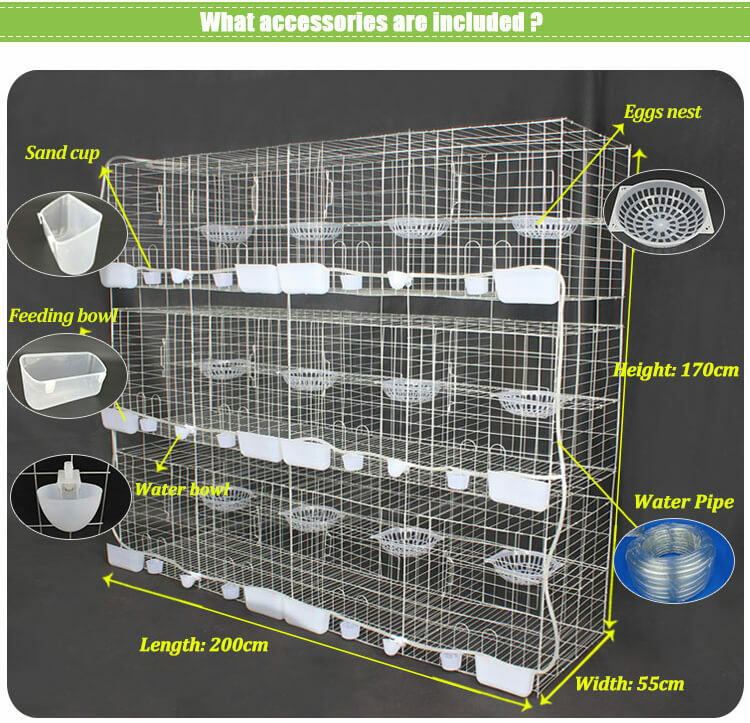 The accessories of our pigeon and dove cage include sand cup, water cup, feeding bowl, small egg collection basket and water pipe, etc. 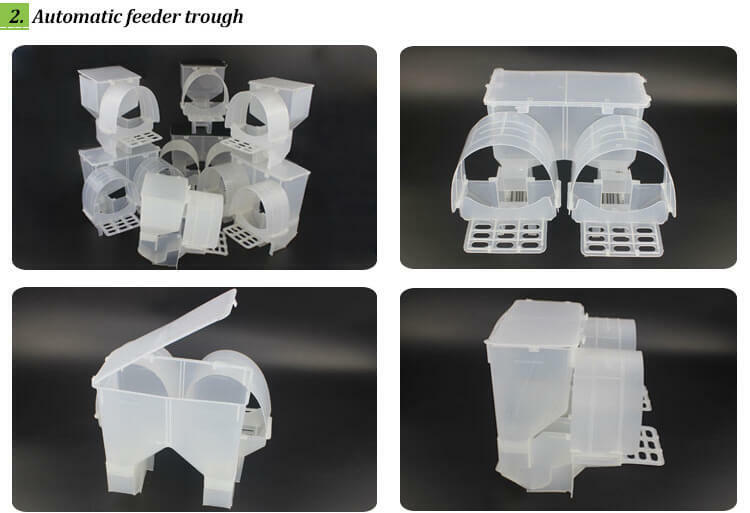 Features: It can be fed for 5-10 days at a time, which greatly saves labor costs; automatically controls the feeding speed and greatly saves feeding; feeding guidance, pigeons will learn to eat.